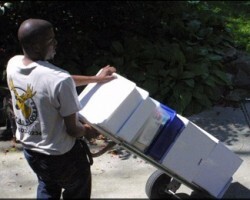 Since 1985, Buckhead Movers & Storage has been the number one choice amongst residents in Atlanta. They gained this position by carefully building a team of the best in the industry and always striving to offer some of the most affordable prices in the state. In addition to offering basic moving services they have also developed their business to be there for all of your specialist needs. This means that even if you are moving industrial machinery or a piano, this professional team will be there to assist you. 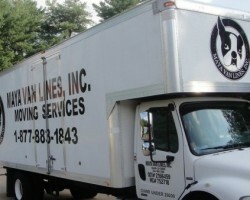 One of the most attractive aspects of Maya Van Lines, Inc. is that the entire team is dedicated to making the service the best in Georgia and the entire country. This service is so much more than a local moving company as they actually put personality into their work. 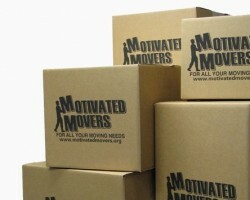 Reviews always mention that this makes the entire moving process a lot more enjoyable, as the movers and packers are there to not only provide unbeatable advice but also to keep the mood up throughout the time you are relocating. Choosing between Atlanta movers can sometimes seem difficult but once you see the qualifications of Motivated Movers you won’t opt for any other service. Each of the business or house movers on this team are thoroughly background checked before they are hired and then they are carefully trained to offer the highest quality of moving services in Georgia. Due to their honest and trustworthy approach to the industry, this company has quickly expanded and become one of the top choices in the city. Receiving your free estimate from AngelHeart Movers will immediately show you just how cheap quality relocation services can be. This is especially surprising with a service like this one as they offer so much more than basic moving options. These professionals can help whether you need to move furniture to another residential property or your office is changing its commercial premises. As this company has been providing their nationwide moving services for over two decades you can trust them to get everything there exactly as it left its previous home. What could be better on moving day than putting your belongings in the hands of a family-owned apartment and house relocation service? Bill Hewes founded his company because there wasn’t enough options of moving companies in Atlanta, GA that sought to gain the trust of their clients. The team at this company has been hand selected based on how dedicated and caring they are towards the customers of the service. While, as many reviews mention, they provide a personal touch to moving they still have the equipment to provide nationwide quality services.